Vicuna Adventures offers custom countrywide itineraries for all of Peru. We can accommodate small or large groups and help plan your dream Peruvian vacation. We offer tailor made trips depending on the number of days you have to explore and where you want to go. Below is an example of a countrywide Inca Peru itinerary. Transfer from International Airport Jorge Chavez in Lima to Hotel Casa Andina in Miraflores or similar accommodations. Airport transfer and hotel is included. If you chose to explore Lima for a day, you will have a City tour of Lima with a local guide and visit the Larco museum. You can also chose to forgo the day in Lima and head out of town south down the coast of Peru. We will take a private van to Ballestas Island to see Sea Lion colonies and many types of birds. We will also visit a local winery to sample and learn about Peruvian wine and Pisco. As we head south to Nasca, we will stop at the Huacachina sand dunes. We can adventure in dune buggies or sandboard down the sand slopes. Breakfast, lunch, dinner, tours, tickets, hotel, and transportation all included. In the morning, we will tour Nasca with an expert local guide and learn about the mysterious line designs made by the Pre-Inca civilization. We will view numerous geoglyph figures from a small airplane as we fly over the desert. In the afternoon, we head back to Lima, stopping along the coast to take photos and eat. Breakfast, lunch, hotel, and airplane tour all included. We will fly from Lima to Cusco in the morning. Once in Cusco, you will transfer to your hotel. You will have a couple hours to rest or explore the city. In the afternoon, you will do a city tour of Cusco with a local guide. Breakfast, airport transfer, and hotel room included. Price includes hotel, but hotel upgrades are optional and available for an adjusted price. Today we will explore many of the amazing ancient Inca ruins found in the Sacred Valley. We will leave early from Cusco to allow us to visit many more sites than are offered by most tour companies. 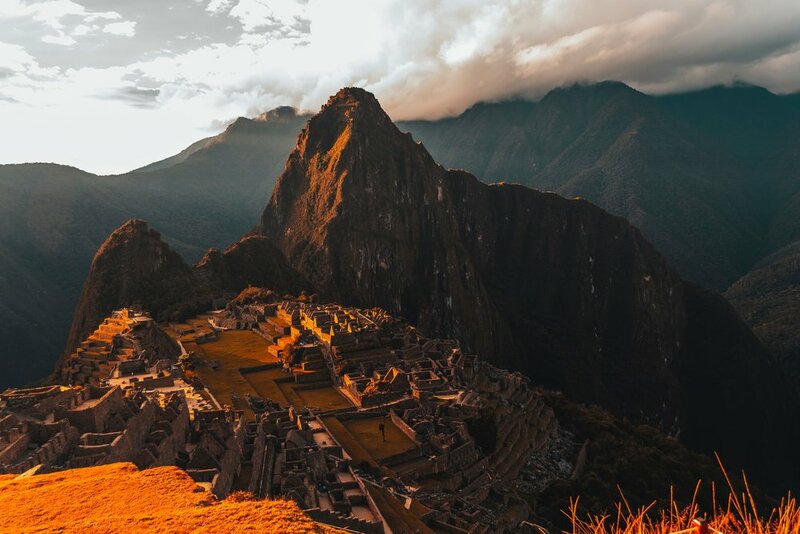 We will travel in a private van with a local tour guide to explain all the sites, history of the Sacred Valley, and to answer questions about the people and the culture. Breakfast, lunch, dinner, tickets, transportation, and hotel all included. You can chose to hike the beautiful multi-colored mountains outside Cusco for the day or leave Cusco in the morning by private van to travel to Puno City. The trip to Puno includes 3 stops and lunch. We will arrive in Puno in the early evening. You can explore Puno and eat dinner on your own before heading to bed. Both options include breakfast, lunch, transportation, and hotel. In the morning, you will travel to by plane to Lima to make your connections back home or to continue traveling to your next destination. Breakfast and transportation included. Pick up and drop off to the airport.